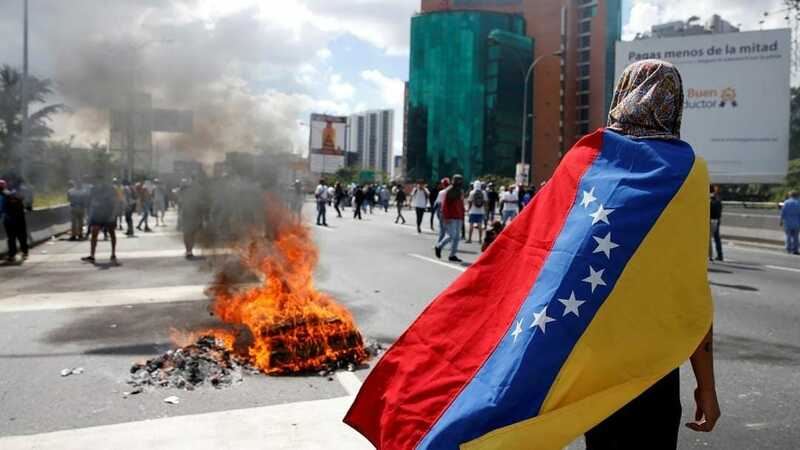 It’s time the U.S. stopped playing a weak rhetorical game, and rally the nations of the Americas to end the tragedy of Venezuelan President Nicolas Maduro’s criminal socialist dictatorship. The move came Wednesday evening, and turned Venezuela from an authoritarian regime into a dictatorship – completing a transforming that came with Hugo Chavez’s election several years ago. The socialist government’s policies have systematically restricted free speech, increased poverty, crime, and hunger, and engulfed millions of people in chaos stemming from profound economic and political mismanagement, criminality among government officials, and a government committed to waging class warfare. 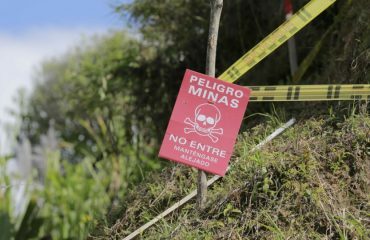 The response to the greatest political problem facing the hemisphere in decades was met with a weak response from the Trump administration and the Organization of American States (OAS). The truth is that the decision eliminates any trace of democracy in the country. The OAS, meanwhile, also issued an ineffective response saying that Venezuela’s decision violates the charter of the organization. While well-meaning, the OAS has already been dismissed by the Venezuelan government. This goes back to the days when it validated intelligence gathered by the Colombian military that proved Maduro’s predecessor, Hugo Chavez, was heavily involved in supporting the leftist, NARCO terrorist organization, FARC, and quite likely, the distribution and selling of cocaine. The threat of expulsion from the OAS for violating its charter may bring feelings of diplomatic action to its members, but it will serve no practical goal; no compelling threat to Venezuela. After years of systemic restrictions on free speech and the media (eliminating the licenses and broadcast rights of television and radio stations, and restricting speech on moral grounds), Maduro’s government recently set up what it called an “anti-coup commando” group whose purpose is to get political opponents the government accuses of treason. Since the group’s founding in January of this year, opposition lawmakers and others who speak against the government have been arrested. In February, an investigation uncovered massive visa and passport fraud allegedly run by the vice president, which includes a scheme to provide Venezuelan visas to Iraqi and other foreign nationals in the Middle East. 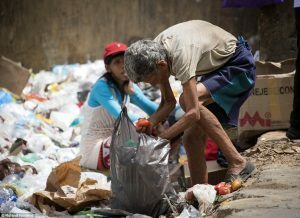 Venezuelans have reportedly lost a significant amount of weight due to wide-spread food shortages. Reports from the country have said that people regularly eat from garbage and out of garbage trucks, as well as hunt dogs and other animals – all just to eat. The recent actions by the Maduro government and its allies on the Supreme Court have been building gradually over the last few years – and more aggressively over the last several months – and included the court’s action of disqualifying a presidential recall effort, citing irregularities, when it was clear a majority of the people supported the effort and the opposition achieve millions more signatures than required. The court also stripped the legislature’s ability to approve the federal budget – opting instead to turn power over the Maduro. At this stage, diplomacy with Venezuela can serve no purpose. It is time for the United States to meet with all the key countries in the Americas, and outline only those steps that will directly impact the government of Venezuela. Sanctions and economic isolation will only increase poverty and desperation among the people, and not facilitate a change in government. Nicolas Maduro and his socialist government need to be given a clear directive: Their socialist dictatorship has failed the people of Venezuela, and needs to end. Democracy and hope need to be restored. People all across Latin America have realized that totalitarian and authoritarian governments from either the left and right, are not paths to success. Recently, leftist authoritarian rule in Argentina ended. An attempt to restore the right-leaning, authoritarian rule of the Fugimori regime, albeit through President Fujimori’s daughter, also failed. While we hope Maduro and his band of oppressors are the last new incarnation of such governments in the Americas, it is essential for the US and the other Americans nations to unite in a way they have not to ensure peace, freedom and economic opportunity regain their rightful place in Caracas, and the rest of Venezuela.